I'm looking for this file to be "burn" into an eprom in my 6128; didn't find it on the wiki ? Which way round do you want it? Amsdos first (default) or parados first? 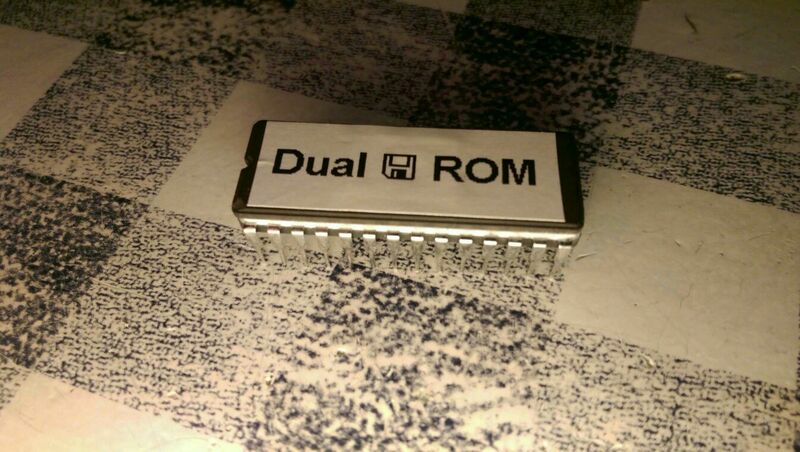 I would need the ROM to be burn directly into a 27C256 . OK. Will do and test it tonight. Pm me your address and I'll get it posted tomorrow. How to make one on a CPC? Now just move it from this disc to the EPROM burner and write it to the EPROM. I have been trying to do so but I didn't use the right addresses and got some reset at boot. Well, you have to remove the Header of the file which you like to burn. Maybe that's the problem. one can easily forget to do so. File attached... All my 27c256 chips are dead.. I'll order some new ones, because I need to upgrade my DualOS schneider 6128 as well, however if you cannot wait and have access to a programmer... Knock yourself out! Thank you for your quick feedback; unfortunately, my programmer just died so that I won't be able to burn any eprom for a while (need to buy a new one). I will keep you posted here. No worries, as soon as my replacement eproms get here I'll burn you one. I have 2 * 27c256Q if needed, you can PM meand I will sent them to you. I just try to fix my eprom programmer but it seems definitively dead (all LED are ON and nothing else happened.....). Still waiting on the eproms... Damn post from China! OK, the new eproms arrived yesterday, if you can remind me where you want it posting I'll burn it tonight. And it's burned and tested. Now where to post it? OK, @Kris no longer needs this AmsDOS / ParaDOS 1.2 EPROM, so it is going spare...... Anyone want it? First to shout and give me an address gets it! Loops, I just found this still packaged up on my desk. I thought it was long since posted. Shout if you still want it. Still interested; PM sent with my postal address. Page created in 0.261 seconds with 96 queries.